I love hosting cultural playdates for my son, and his friends. Cultural playdates give the children an opportunity to explore and learn through other people’s tradition and customs. 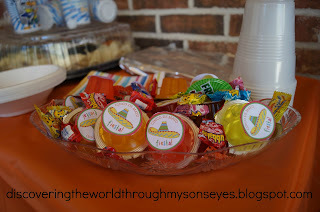 This time we celebrated Cinco de Mayo! During this playdate we read two books for story time. 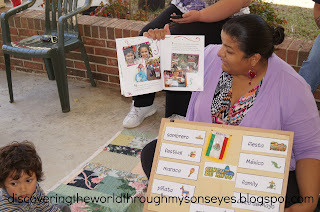 I read the history of Cinco de Mayo to the children, and we went over key words in Spanish that I found here. 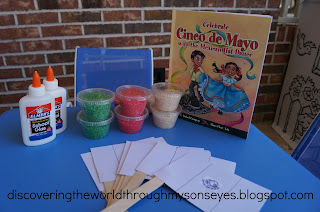 The book that I used was: Celebrate Cinco de Mayo with the Mexican Hat Dance by Alma F. Ada & F. Isabel Campoy. The storybook is about children in school that are learning to do the Mexican hat dance for their Cinco de Mayo celebration, and it’s followed by the history of Cinco de Mayo. My mom friend read Cinco de Mouse-o by Judy Cox. It’s the story of a mouse who is lured outside of his hidey-hole through the sense of smell. He’s sniffing the scrumptious “beany, cheesy, ricey smells”, and he sets out to follow his nose! In this fun filled adventure he comes across the Cinco de Mayo celebration, but a yellow striped cat is determined to catch him! I won’t spoil the ending, but I will say this is a beautifully illustrated storybook, and not only does it tells the story of the mouse but it gives you a visual of of how Cinco de Mayo is celebrated. 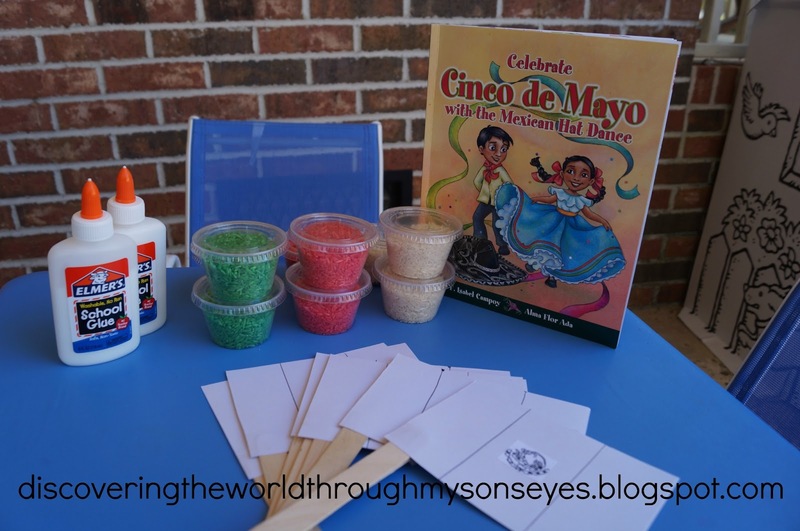 After story time we had our craft session with dyed red, green and white rice for the children to make a Mexican flag. For snacks we had fruity gelatin that I purchased at a Mexican store, chips, with a dip, and churros. To go with the the Cinco de Mayo theme I glued on to the bottom of the gelatin a template that I found here. The dip was a simple recipe of cheese dip, salsa and ground meat. It was delicious! 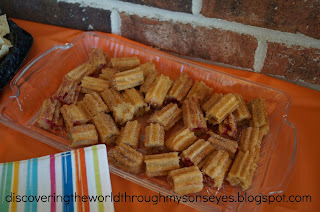 One of the moms brought these delicious churros. For fun we had sombreros, ponchos, and maracas for a photo prop. Of course, we couldn’t have a Cinco de Mayo playdate with out doing the Mexican hat dance around the sombrero. 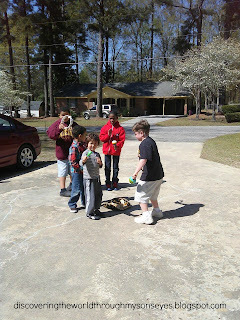 The kids had a ball! 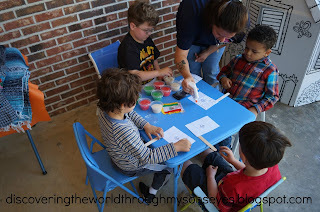 This was such a fun playdate! We had storytime, crafts, music and dance. 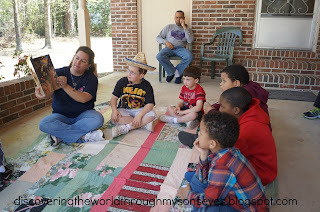 Needless to say, the children enjoyed themselves, and learned about why we were celebrating Cinco de Mayo. Understanding, and celebrating some one else’s culture is a great way to promote culture diversity, and learn about the Mexican and Latino cultural celebrations. How do you celebrate diversity with your children? 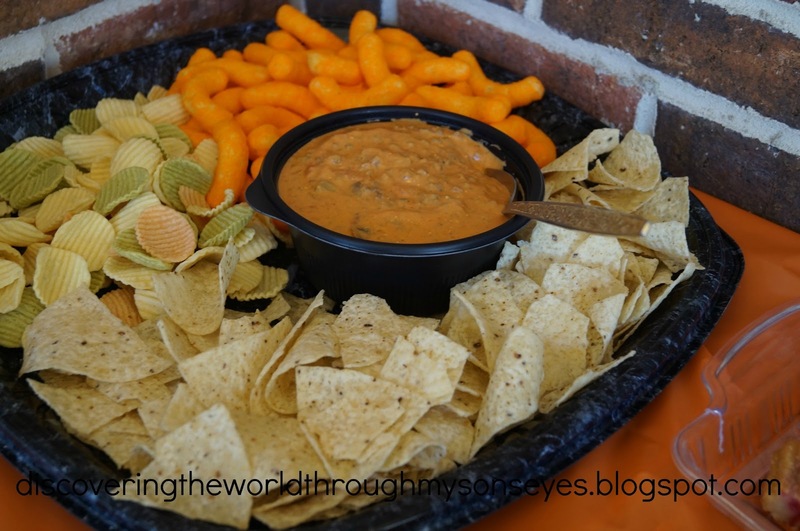 Thoughts: Since the celebration of Cinco de Mayo generates mixed feelings, I wanted to put my two cents in. I organized this cultural playdate as an educational resource for my child and his friends to learn, and celebrate Mexican culture, language, and heritage. By no means it has been intended to mock or stereotype Mexicans. Thank you. This post has been shared at Worldwide Culture Swapper, The Usual Mayhem’s Virtual Book Club for Kids, What We Do All Day’s The Children’s Bookshelf, Crafty Moms Share: Sharing Saturday, and Kid Lit Blog Hop #14. Oh my goodness you have the best play dates! 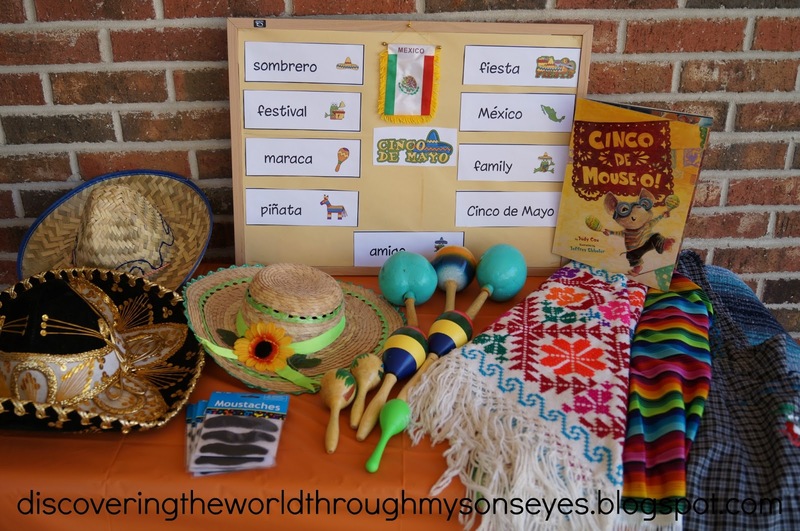 I love your idea to use colored rice to decorate the Mexican flag and those books sound adorable – Cinco de Mouse-o – What a great title for a children's book. Gracias Kali!! It was fun! I love your playdates! This looks like so much fun! I really love the photo prop idea. Kids love to dress up, so I bet they had a blast with that! Oh the pictures are SO cute! Love the idea of a cultural playdate. The books sounds like a fun read too! Thanks for sharing on Kid Lit Blog Hop! Omigosh! That looks like so much fun! Can I come over? lol Thanks for the book recommendations as well. One of my friends is having a party the first weekend in May to celebrate Cinqo De Mayo so I'd love to get a book from the library to teach my kids about what is celebrated. Thanks for linking into the Kid Lit Blog Hop! Wow, that looks like a lot of fun!! Thank you for sharing at Sharing Saturday! !